Corner of Davey St & Sandy Bay Rd, Hobart. Google Maps. 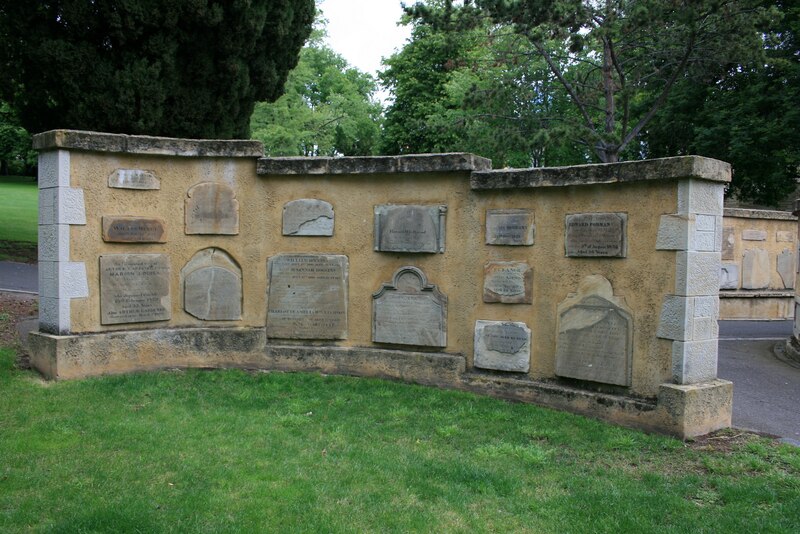 The original burial ground for the settlement of Hobart Town, and for many years the only one. It was closed after the establishment of Cornelian Bay. After sitting unused for fifty years, it was converted to a park in the 1920s. Some of the larger tombs remain in situ but all the other headstones were removed. The surviving stones have been built into memorial walls at the south-eastern end of the park. No transcriptions, as they are available elsewhere. Although I did some years ago. The LINC has two albums with photos taken prior to and during removal of headstones. Album 1 is mostly individual stones (see here for more information). Album 2 is a mixture, including photos taken during removal of headstones (pp. 4,5, 8, 13 & 14). Photos of headstones in situ. Some more information & photos. Photograph of drawing, not dated. Background first. Like any respectable city, the many cemeteries in central Hobart were closed down years ago (I say central, because I know there’s at least one small cemetery on the eastern shore, so I assume others small cemeteries in other outlying suburbs). Some were converted to parks, some to school grounds, some to housing developments. The new cemetery, at Cornelian Bay, was opened in 1872, bordering the river on what was sometime previously the Government farms. The area was divided up among the various religious denominations, the space allocated decided from the previous census. Headstones from other cemeteries were relocated here. Gaylor, Phillis, d. 1865, page 5, d. 1869?